The spot showcases the youngest champion in Octagon history as he choked Lyoto Machida unconscious in their UFC 140 showdown. 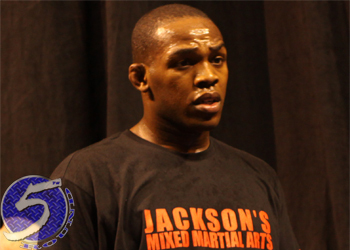 Jones meets Rashad Evans on April 21st inside Philips Arena in Atlanta, Georgia. Up-and-coming welterweights Rory MacDonald and Che Mills will serve as UFC 145‘s co-main event.